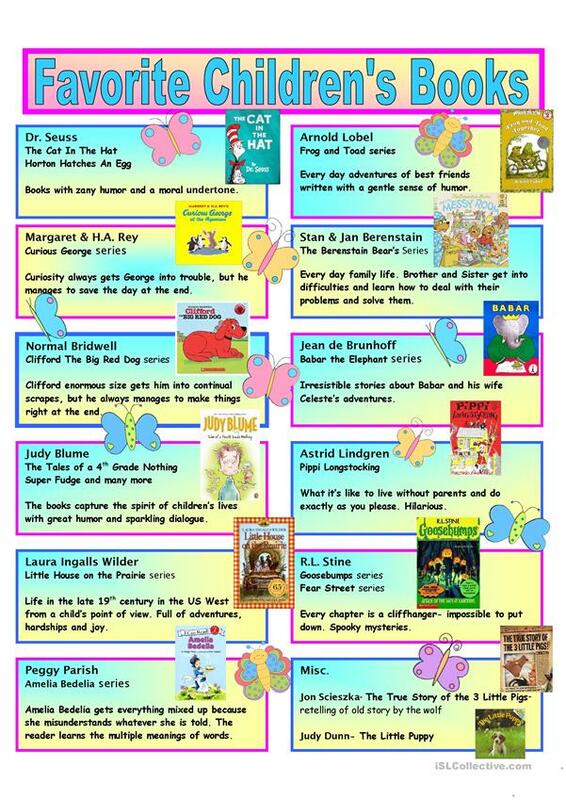 For teachers who are unfamiliar with some of the best loved and classic children's books- here are some suggestions along with a brief summary. Books like these make readers out of children! This downloadable printable is intended for high school students, elementary school students and kindergartners and nursery school students at Elementary (A1) and Pre-intermediate (A2) level. It is useful for developing your class' Reading skills. It features the vocabulary topic of Books and reading.